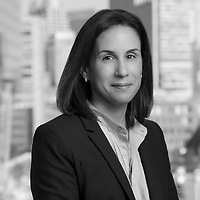 Robyn Maguire, a partner in Nutter’s Litigation Department and a member of the firm’s Product Liability and Toxic Tort Litigation and Business Litigation practice groups, addressed why there is a rise in sales representatives being sued in medical device product liability cases in Nutter Insights. Robyn discussed how the courts have decided whether sales representatives owe a duty to the patient, how the courts have ruled on what constitutes a sales representative’s “advice” to a surgeon, and some considerations for sales representatives to limit their exposure in product liability lawsuits. According to Robyn, sales representatives may discuss the product generally with surgeons and repeat the manufacturer’s written warnings. However, telling the surgeon how the product can or should be used for a particular patient rests in a grey area, and courts have decided these cases differently, based on the facts. Please click to view Robyn’s complete Insights.